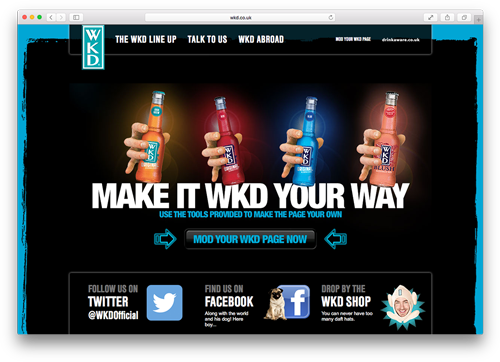 We have 18 years experience in digital marketing and a passion for food & drink. We're foodie geeks who are equally at home working with established supermarket brands, small / artisan food & drink businesses, and new start-ups. Whatever you're doing online currently, why not get in touch to find out how we can help your business to perform better online. Ever wondered what the "bounce rate" number means on your Google Analytics account, and whether you should be worried about it? It's one of the most misunderstood of all the metrics available for your site, and a lot of external factors have an influence over this number. For example, if your site is well indexed in Google, there's a higher chance that visitors will land on the page that gives them the information they require, and they will then leave; a high number of people visiting your site regularly to read your blog may also result in a high bounce rate; and a design that uses a small number of long scrolling pages rather than a larger number of smaller pages may have a similar effect. We have developed a content management platform to meet the specific needs of the food & drink business, which is continually developing and evolving to meet the needs of our customers. For those who don't currently need the full power and flexibility our platform offers, we also build sites on Squarespace. Take a quick look at some of our work below, and read more here. 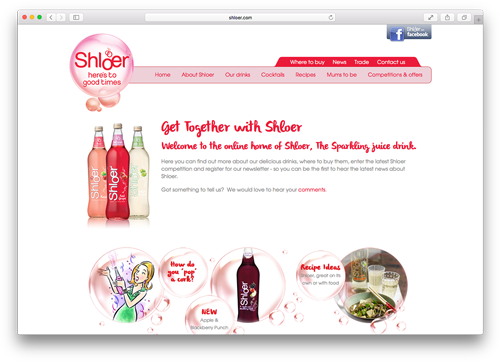 Our e-commerce offering has been developed in association with customers, to deal effortlessly with all the unique requirements of the food & drink sector. As a UKTI Accredited Digital Supply Partner, we have the skills, experience and technology to deal with all the digital elements of your export strategy. Instant win promotions and prize draws linked to unique codes printed on-pack; encourage trial and repeat purchase, drive consumers to your web site & social media. The social media landscape is constantly shifting and changing. To take advantage of opportunities as they evolve, you need to BE social, not DO social. We can help you find out what your customers are searching for and develop search marketing plans for all your target markets to attract quality visitors. Email marketing may be "old school" - but a high quality email database is still one of the most cost-effective methods of communicating with consumers. We build long-term relationships with our customers, which last because we take time to understand our clients’ objectives, provide a wide range of services to support their activities - and do a great job! The pace of change in digital marketing is incredibly fast, so although current when launched, web sites built as standalone entities often become outdated over time. On our content management platform, your site will be continually updated to take advantage of new technologies as they evolve. We are constantly evaluating the software we use and the hosting arrangements on which they are based, to ensure that the services we are offering to our customers are built on the best possible foundations. © Cloudberry Digital Limited 2015. Registered in England no. 04610478. Registered Office: Leeward House, Fitzroy Road, Exeter, Devon, EX1 3LJ.